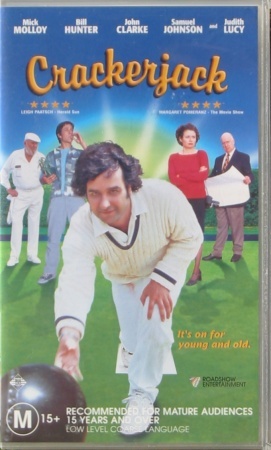 Synopsis Crackerjack was the most successful Australian film in 2002 grossing A$7.6 million at the Australian box-office. Aussie comedian Mick Molloy is Jack Simpson - office-worker, drifter and total scammer. When he joins the local bowling club just to score free inner-city parking, little does he know he may become the key to the future of the club! With the Cityside Club in financial straits and shady developer Bernie Fowler (John Clarke) breathing down its neck, the club is forced to enter a cash prize tournament. But with ageing and ailing members, the team numbers are down. When they discover the enigmatic Jack on their books, they threaten to withdraw his membership and his car-park if he doesn?t play! With the battle lines drawn for a do or die match, the club?s very existence now rests in Jack?s hands! Crackerjack is also available as a Region 4 DVD.